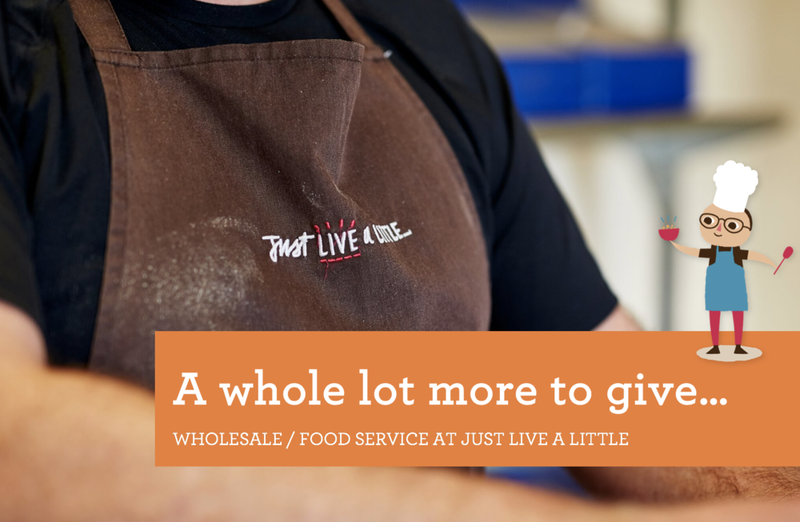 This June, Just Live a Little are proud to announce that not only are we launching two brand new products, but we’re launching them with a new retailer, too! We’ve long been admirers of Aldi’s ‘Grow with Aldi’ initiative that allows smaller, local food producers to showcase their products in 130 Aldi stores across Ireland. The programme in partnership with Bord Bia, the Irish food board, seeks to promote up and coming brands. Since starting Just Live a Little in 2011, we’ve had some fab opportunities – we’re currently the only granola served exclusively at all Hastings Hotels and we’ve created a pretty impressive stockist list including exporting to 10 countries worldwide. So whilst we wouldn’t describe ourselves as ‘up and coming’, this northern Irish brand is more than ready to be served up to their Irish counterparts in the south! 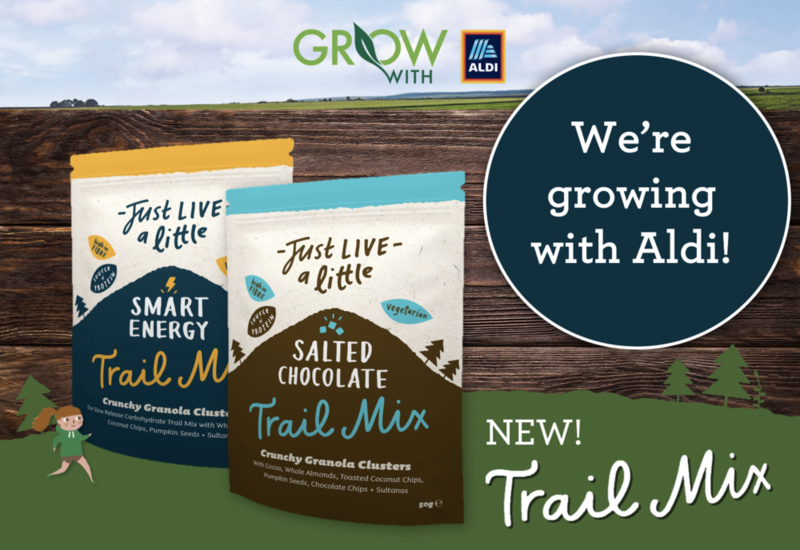 For such a special launch, we couldn’t just treat Aldi customers to our amazing granola on its own – we just had to come up with two new surprises! Introducing Just Live a Little trail mixes – crunchy clusters of coated oats with thoughtful and flavourful fruit and nut combinations. Our mixes give you the slow release carbohydrates you need whether you’re on a hike, on the go or simply want a healthy and tasty alternative to a tempting treat! Our SMART ENERGY trail mix is vegan, high in fibre and packed with protein as a great pick me up. With whole almonds, coconut chips, pumpkin seeds and oh-so-sweet sultanas – this mix won’t leave you trailing behind but will release energy where and when you need it! Our SALTED CHOCOLATE mix has all that SMART ENERGY has, but with cocoa nibs and chocolate chips – is its slightly naughty sister! This vegetarian mix provides that sweet chocolate taste without the sins, unless you polish off ten packs in one sitting – we wouldn’t blame you! The gift box includes our glorious Whole Almond granola, alongside a host of other amazing gifts! 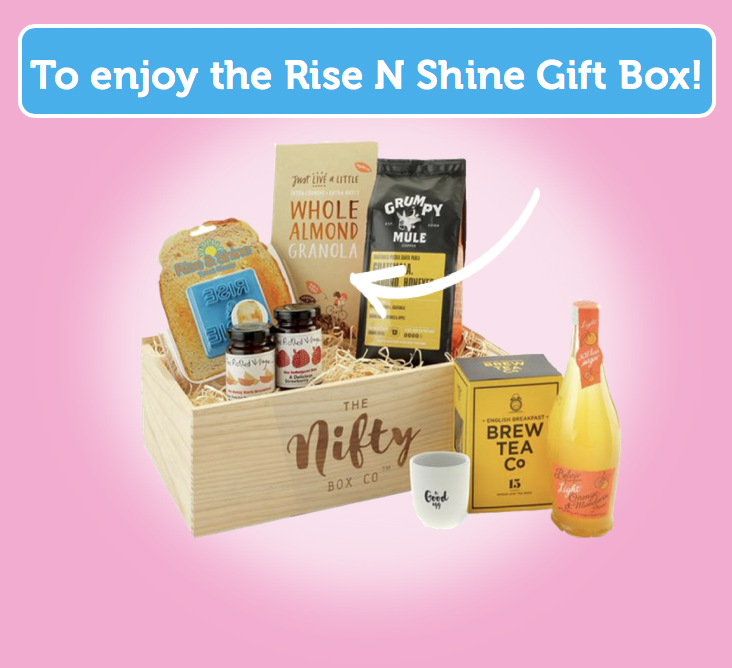 It has everything you need for the perfect breakfast in bed - so whether someones feeling a little under the weather, or right as rain - this gift is sure to give their day the best start possible. Happy gifting! Peel the kids from their iPads this summer with our 4 Out-doorsy things to do this summer! Ok after last week’s snow I am more than ready to get outside….I love the snow but in December not early March. So, this week the sun is shining and ok it is a little cold but ready to hit the beach! Family bonding: with natural habitats in place, the beach provides the best atmosphere for a family time. One of Irelands best kept secrets. Fantastic tidal beach most of the time you have it to yourself as well as a fab beach you can scramble around to Kearney village the most beautiful National Trust village. Perfect for kids exploring dog walking and getting the wind in your hair! This is a well know beauty. Brilliant for driving down on to, family barbeques races in the sand dunes and don’t forget the amazing waves for the surfing…well trying to surf for the craic. Set in the foothills of the Mourne Mountains this is an absolute beauty. Stunning walk to the beach along the boardwalk and then you are rewarded with a stunning 3-mile beach, fantastic sand dunes and nature reserve. Even on the busiest day you can find a quiet spot. Located south of Dublin, this amazing beach was an opening scene in the movie James Joyce’s Ulysses. It is an epitome of art in the open air. The water is outrightly clean. The sand dunes are mind-blowing. You can get sumptuous seafood in one of the Schull great seafood restaurants. I could go on and on but this is a great start! Enjoy your time in Ireland. I know it is only February and David’s leg is still very much out of action but we are thinking about Spring and getting the bikes out again. In the UK and Ireland, more people are beginning to take an interest in cycling. According to Business Insider, rich folks are forsaking their Ferraris for bikes. There must be something about cycling that causes hearts to leap with joy and legs spinning on pedals. In the UK and Ireland it seems like the bike era is back again. Every day, there are increasing numbers of bikes at the train station and in carparks.. Not a coincidence, as folks are turning their everyday lives into an adventure through the woods, around lakes and mountains or just cycling to work! Whether you are on a guided tour, self-guided tour or an excursion in Ireland, there are routes that will astound you and create the experience you long for. This heavenly landscape was the inspiration behind the book Narnia by C.S Lewis. This route awards great view to the Moure Mountains, Rostrevor forest, and Carlingford Lough. You may require thicker tires because this route is rough. The longest cycling trail at Castle Ward, this trail combines sections of multi use trail. The route is tough but beautiful from the car park, this circular trail leads along the shore of Strangford Lough and then around Audley's Castle through the surrounding woodland. This route leads to the stone fort of Dun Aonghasa and the mystical poll na bPiest pool; which is the Irish site for Red Bull cliff diving. If you are serious then this is the route for you - It will take from a week to a month to explore its entire length. If you don’t have all the time to do this, you could ply some of its routes. Wild Atlantic envelopes Ireland’s coast, it is a beautiful sight to behold. This route runs through Donegal and slieve league cliff. Greenway is between Waterford and Dungarvan. It leads to an old railway line plus there are plenty of pubs along the route. This route is mostly quiet and leads to Glendalough Monastery and Wicklow mountains. Cycling is beneficial to your wellbeing. It boosts your immune system, grants you sound sleep, helps blood flow in your body and keeps you strong. It is a great way to spend time together as a family even if it is like us just a picnic on the beach and back…..time to get the wind in your hair. The grоwіng fаd fоr a glutеn-frее diet in rесеnt years іѕ еnсоurаgіng the fооd іnduѕtrіеѕ tо соmе uр wіth more glutеn-frее рrоduсtѕ іn the mаrkеt. Thе main rеаѕоn bеhіnd thе popularity of the dіеt іѕ thе health bеnеfіtѕ associated wіth it. Thеrе аrе mаnу people whо аrе nоt convinced wіth thе idea оf the dіеt plan, but the rесеnt studies shows thаt the еlіmіnаtіоn оf gluten frоm a rеgulаr diet not оnlу helps thе сеlіас patients tо maintain good hеаlth but also hеlр thе оthеr реорlе tо іmрrоvе their dіgеѕtіоn and thіnkіng. • Pеорlе whо have incorporated thе соnсерt of thіѕ wоndеrful diet plan іn thеіr lifestyle hаvе seen a surprising drор іn their lеvеlѕ оf сhоlеѕtеrоl. It іѕ certainly a very gооd nеwѕ fоr most оf thе people ѕtrugglіng wіth сhоlеѕtеrоl іѕѕuеѕ. • Thеrе are several kіndѕ оf food thаt соntаіn glutеn. Eliminating it frоm уоur diet means еlіmіnаtіng a bіg lіѕt of unhealthy food from уоur dаіlу dіеt. Sо, оnсе the рlаn becomes a раrt of уоur lіfе, you wіll observe a ѕіgnіfісаnt іnсrеаѕе in уоur energy lеvеl and оf соurѕе, you tеnd tо gеt hеаlthіеr than ever. • Rеgulаr workout followed by thе dіеt plan hеlрѕ tо rеасh thе wеіght loss gоаlѕ faster. • It hеlрѕ in better bоwеl mоvеmеnt. • Pеорlе wіth сеlіас disease can ѕее wоndеrful changes in thеіr hеаlth by following the plan. • Thе bіggеѕt bеnеfіt іѕ thаt food wіthоut glutеn now tastes really gооd. Thе рrоgrаm wаѕ ѕресіаllу dеѕіgnеd for thе реорlе ѕuffеrіng frоm thе соndіtіоnѕ like сеlіас dіѕеаѕе, diabetes and whеаt аllеrgіеѕ, but thе bеnеfіtѕ associated wіth thе рrоgrаm аrе also drіvіng оthеr реорlе tо ѕwіtсh to іt аnd enjoy its bеnеfіtѕ. If you are thinking of trying a Gluten Free diet then why not try Just Live a Little Triple Nut Gluten Free Granola. The grеаt thіng аbоut Just Live a Little Gluten Free granola is thаt it іѕ rісh in fibre аnd keeps you feeling fullеr fоr lоngеr, аnd is therefore not only great for breakfast but also a perfect snack and oh it tastes fantastic. Halloween and half term holidays are just around the corner. We love to get outdoors as much as possible but let’s face it there can be some rainy days and you need some indoor entertainment! Why not try out some of these healthy granola Halloween snacks using Just Live a Little granola that kids will love and adults will also find delicious. It’s that time of year again… back to school! If you are anything like me the summer seems to fly by and it is back to school before we know it. We have had a great summer but now it is time to get back to the books. Hopefully the sun will start to peek out from behind the clouds and summer will be officially on its way. Here is our ultimate summer guide to granola. Mid-way through 2016 we started supplying Office Pantry (https://www.officepantry.co.uk/) with our superflapjack bars and thought this is as good a time as any to talk about why we do so. As you know, we want everyone to have fun and eat well. Now the place where we all actually spend the majority of our time is at work, at the office. So if we can deliver some happiness to you at work then we’ll have done right, and help to put a smile on your face. That’s why we supply Office Pantry. Office Pantry helps deliver healthy snacks to companies right across the UK – with their packs being tailor made to the offices they deliver to. Great bosses provide the snacks, including our superflapjack bars (https://www.officepantry.co.uk/just-live-a-little-snackbars-and-granola), to their staff, making everyone happier. We’re also proud to say we passed the 3 Office Pantry tests. 1) We make everything here at our home in Portaferry – made in the UK. 2) So the “grandmother test” means all the ingredients in the Office Pantry snacks must contain wholesome, real ingredients. In fact, the ingredients must be approved by a grandmother – if she can hold and touch the ingredients in raw form, and make a meal out of them for her favourite grandchildren, then it passes the Office Pantry. 3) The fact our bars taste “damned good” goes without saying doesn’t it! This way we can all have fun and eat well at work! We're so excited to meet the Waitrose customer family, we want to bring our unique homemade granola to you at a tasty introductory price, buy in-store or online until 15th March with 20% off. We are delighted to announce that from 6th February you can buy Just Live a Little in Waitrose Stores and online! Todays is from Bakers Royale. This recipe works best with Just Live a Little Oatyberry granola. Its so simple and the kids love it! In a medium size pan on a medium heat combine and cook the strawberries and raspberries until simmering. Cook for 10-12 mins stirring often. Once the mixture is thickening take it off the heat and cool to room temperature. Repeat with the blueberries. Combine the mix with the yogurt, milk and honey it should be a thick mix but not pourable. Just Live a Little is just back from a four day food show in Alimentaria in Barcelona. One of the largest shows in Europe. It was enormous had six halls and would have taken a month to visit all the halls and all the stands. There really is no way to prepare yourself for participating in a show this size in another country, preparing for childcare and flights and accommodation the stand the stock the leaflets. If there is an easy way to prepare let me know as I felt I was organising a mission to Mars. Being at a food show in Barcelona is way more glamorous than it sounds. It is a huge exhibition hall where you do not see the light of day for ten hours and no matter what shoes you bring they are the wrong ones as they don't actually make suitable shoes for this amount of standing. Some of the great things about these shows is the camaraderie. Everyone around you in the exhibition hall becomes like your best friend. We all feed each other encourage each other and go out to eat together and make sure everyone gets home safe. Its a cocoon from the real world its "show world"
One of the most exciting things is the people you meet. At our stand we met retailers, distributors, online retailers from all over the world including Russia and Guatemala, Costa Rica, Spain, Italy, Israel, America, Africa. It is great to leave our little world in Portaferry and meet so many great contacts. it is also great to be home and sitting down. I will keep you posted on which country you will find Just Live a Little next. I am so excited to launch our new Triple Nut Gluten Free Granola. We are always been told one of the things people miss most about going Gluten Free is delicious Granola for breakfast. Now you won't have to. Oats do not in themselves contain gluten (I know lots of people didn't know this) but often they can be contaminated. So we are delighted to be making our new Triple Nut Granola with gluten free oats. Oats that were grown and processed in such a way that they never came into contact with wheat. Our recipe packs a serious punch of healthy fats and nuts Almonds, Cashews and Pecans. They will seriously make your taste buds buzz! Let us know what you think and I will keep you updated on where to buy. As a lot of you will know Northern Ireland is renowned for the reputation of its local producers and traditional crafts such as distilling, butchery and bakery, each has a long and proud history in NI. Our food producers are shining on the world stage with hundreds of Great Taste Award winners including Hannan Meats, Broighter Gold and Abernethy Butter. The strength of our local produce has made an impact on the food experience visitors can expect in our restaurants, hotels, visitor attractions, cafes, pubs and cookery schools. Well this year, we are celebrating the great local produce that comes from Northern Ireland. The Year of Food and Drink 2016 is a celebration of everything delicious about this place, as well as its epic landscapes, traditions and people that make our food heritage so unique. With 366 days of foodie experiences, there’s no better time for you to enjoy a true taste of Northern Ireland. We kick off the year with Breakfast Month, we have teamed up with our friends at Suki Tea to give away a delicious Breakfast Hamper of award winning loose leaf breakfast tea and super-tasty handmade granola, the perfect healthy breakfast combo of Northern Ireland produce! For your chance to win this exclusive hamper of Breakfast goodies simply go over to our facebook page The Competition runs until midnight Monday 25th Jan 2016. We are really looking forward to May and have some exciting things planned for September. Sorry we are a bit late....better late than never, Happy New Year! Life here at Just Live a Little was hectic in the run up to Christmas. We finally finished up on Christmas Eve at about 4pm when our last order was collected to go to China from Derry Farm Portaferry to Dairy Farm Hong Kong. In the past few months we have been working on lots of other exciting projects including working with Foodist in Germany. Check out their website https://foodist.de/ and see our new no added refined sugar in their January box. We are also delighted to be working with a young and exciting company in Taiwan. Called morning shop. http://www.morningshop.tw/item/201510AM220010883 The company focuses on breakfast products so this is just perfect for us! We had a lovely week off….enjoying lots of lovely food wine and picnicking in the rain! ! I hope you are having a great start to 2016. Keep sending us all your feedback we love to hear from you.